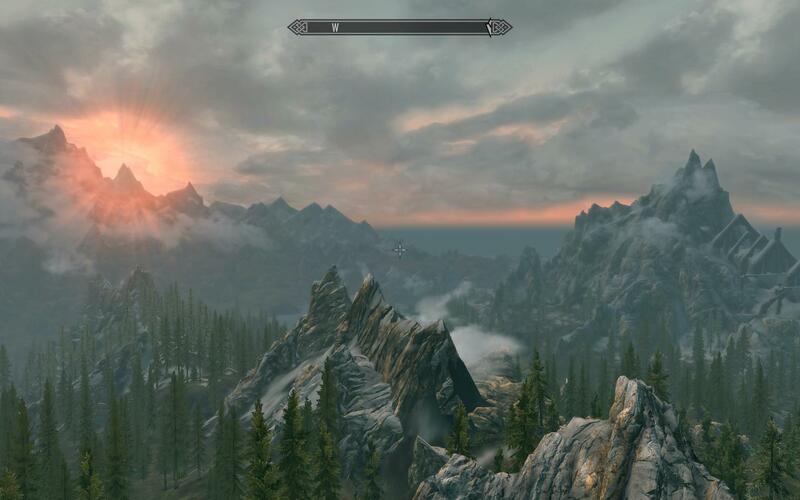 so, perhaps my fellow empire citizens are obsessed with skyrim as much as i am.. and since there aren't any threads about such things.. i present you with such an awesome thread. share your characters, mods, hates, rages, loves, experiences, memes and whatever else you feel like sharing that is about skyrim. recently i downloaded a mod called 'climates of tamriel - sounds' that can be found here along with other mods like it.. which added a mega ton of sound effect like birds... and now i'm completely in love with the game again. i've also just installed this visual mod that makes me fall even harder to the floor over how freaking spectacular this game is. along with those visual mods, i have this new thing that shuts off random npc's from attacking you verbally with quest starters. so nice not to hear their rude remarks while they slam their life into your face. codygraw101, ShelLuser, Monster_ and 2 others like this. Green_Mystery and battmeghs like this. boozle628, Mrlegitislegit, the_creeper_lord and 4 others like this. I also love this game, I have pc verson, although I have no mods installed. But those screen shots make it very tempting. RiokuXian, ShelLuser and NetherSpecter like this. I recently started playing Skyrim again (Bought the Anthology for Christmas last year) and used to have a bunch of 'expansion" mods installed, these allowed me to travel new worlds such as the Elswyr mod and the Wyrmstooth mod. (I recommend either of them as they are well made) I have almost 200 Gaming Hours put into the game and have 16 level 80s + I love this game way too much. i have an issue with keeping saved games.. lol i constantly restart. >_< gets annoying sometimes.. i don't know why i do this to myself.. i find i repeat this kind of behavior in minecraft too. I told you we were practically twins, I do this pretty much every time I start Skyrim or Oblivion up, I make a new character, but I never delete a character, I must have close to 40 people in my save files. My load screen got so confusing I backed up my file and then deleted them from the application. Just a quick question though: Whats your opinion on Skywind? Sparticals and battmeghs like this. Those are impressive. What are the specs of your PC? marknaaijer and battmeghs like this. Skyrim is officially the second best game I've ever played after Uncharted 3. I completed all quests, side quests and DLC quests (pretty sure you have ). Such an amazing game. I wait for it for 2 years and buy it in November 2013. By January 2014 I have put over 50 hours into the game and am just about about to have the final battle with Alduin. I have to leave for tea as I see him flying down. I come back, and find the game has crashed. I can't find the save anywhere... yeah, so I leave. Come back the next day on a new save and find I have just now accidentally saved over the save I had in Sovngarde. Because of this, I ended up just not playing anymore. When I finally wanted to play again, I find my computer can't run it all too well anymore. i'm going to have to agree, i am pretty addicted to this game. its beauty is amazing. i highly recommend saturation boost mod on the nexus, makes things stand out stronger along with that tamriel reloaded.. some high res road fixes also make for epic photos. i've got an intel core 2 CPU 4300 @ 1.800GHz GeForce GT640 32 bit system with 4 GB's of memory. first is without, second is with. TsuriNeko, Codygraw, Tigerstar and 5 others like this. ShelLuser, FDNY21 and Dwight5273 like this. phantomcasper and battmeghs like this. 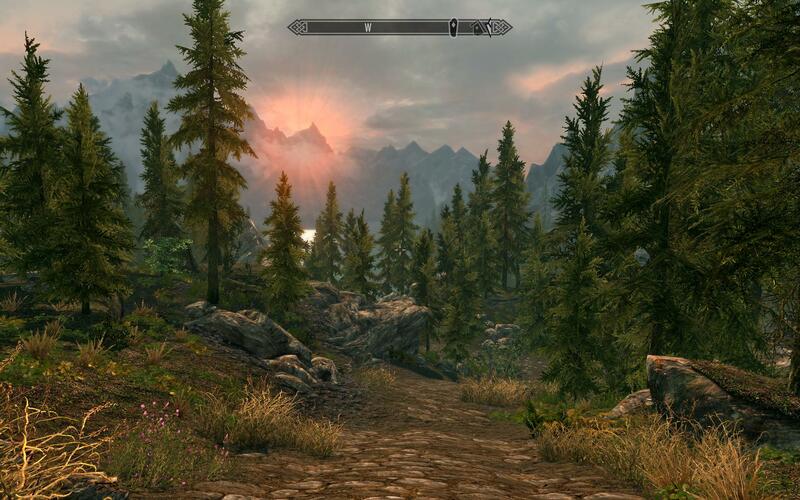 Loved playing Skyrim and enjoy going back to it every now and then.